Lavender’s Blue, Dilly, Dilly! 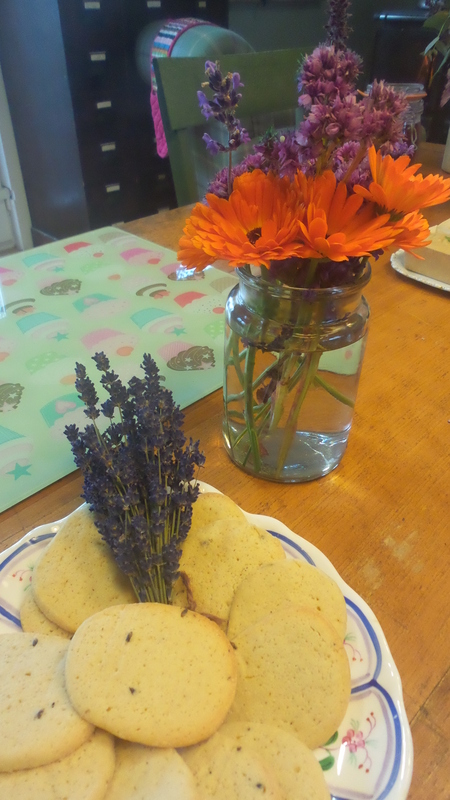 How to Bake Responsibly with Lavender! 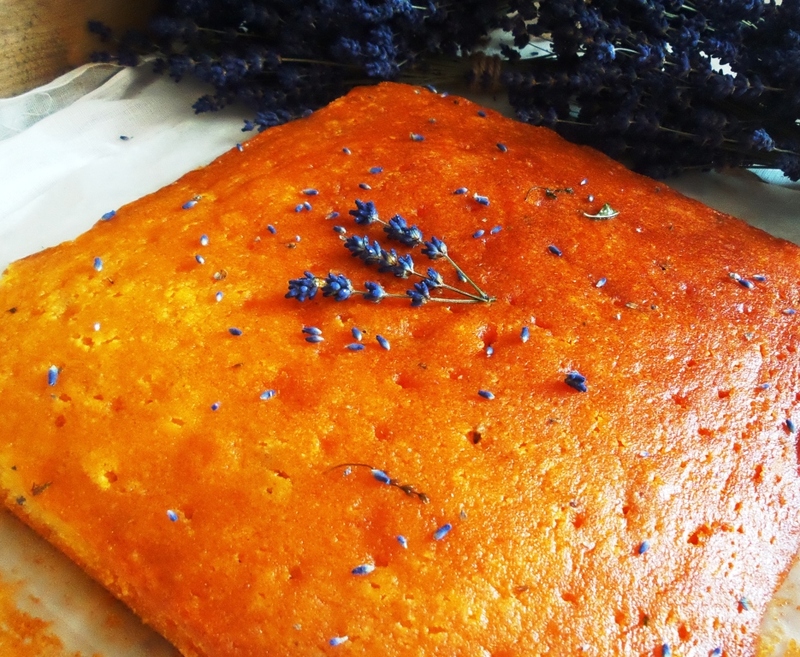 How to Bake Responsibly with Lavender! As many of you, my dear readers, know, I am besotted with the Secret Herb Garden. From the bees buzzing around the top field, gathering pollen for the very special honey that SHG sell, to the pattering whispers of gentle rain tip, tip tapping on the glass of the greenhouse. This haven strikes a chord with me: unusual herbs, edible flowers and of course Hamish and Libby. They seem to be in tune with everyone and everything. There is a gentleness about the place and you can only let out a long breath, releasing the tensions of the busy city only a few miles away; it’s like loosening a tight corset. When I ran my first baking demo, things didn’t go to plan and trouble at the printers meant we couldn’t promote my event. The blank segment should be marked Dante! Undeterred, I decided that since I was there with the stove stoked up, why waste the opportunity to bake? 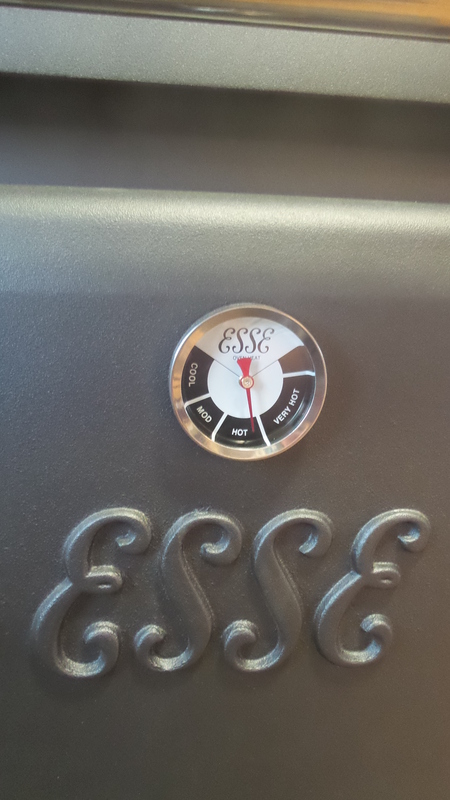 Now I must tell you, this was only the second time I’d ever cooked on a solid fuel stove and the temperature dial was: Cool, Mod, Hot, Very Hot and a slither at the top that had no marking, I reckon should have been marked as Dante! 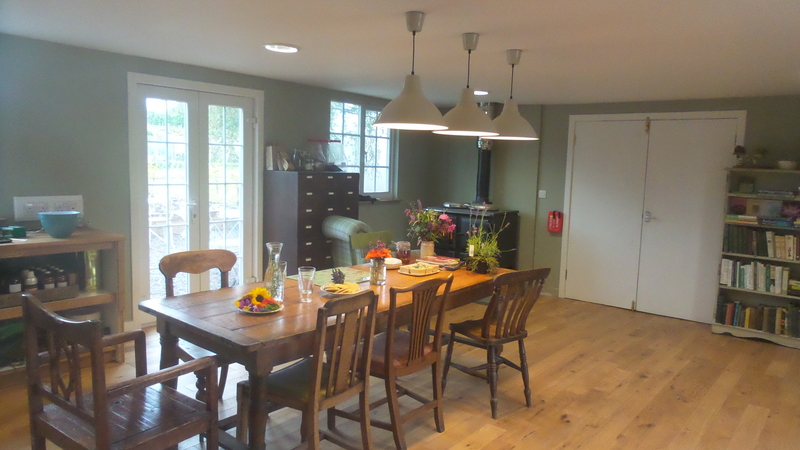 The schoolroom was heady with the scent of lavender and many of the visitors were curious about using it in cooking. The Romans, and I’m sure the Greeks too, used this potent herb not just for perfume but in savoury dishes. Lavender was used in sauces for rabbit and chicken. 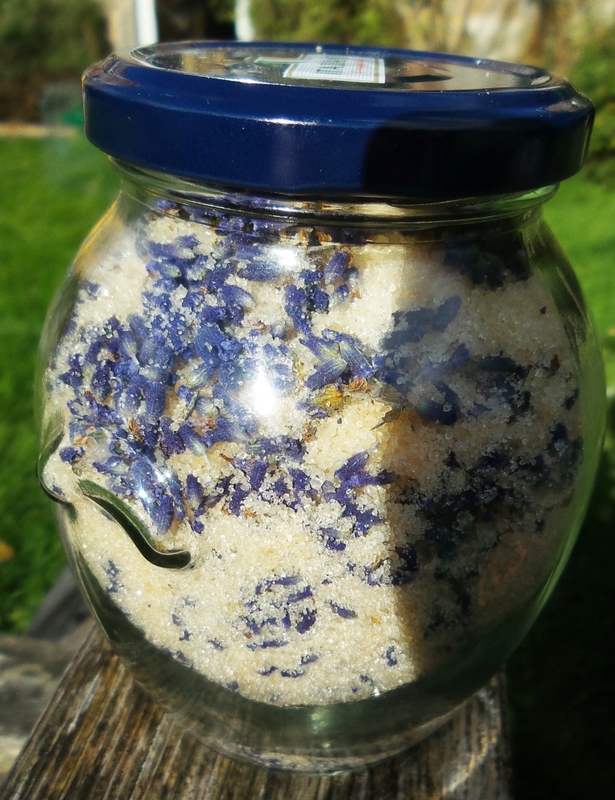 The French, to this day, use it in herbes de Provence; makes sense really, what with all those stunning fields of purple; I can almost smell the heady perfume on the warm southern French air. Lavender is potent! Lavender is pungent! Lavender is lush, but there is a fine line before edibility turns into either soap or granny’s knicker drawer! 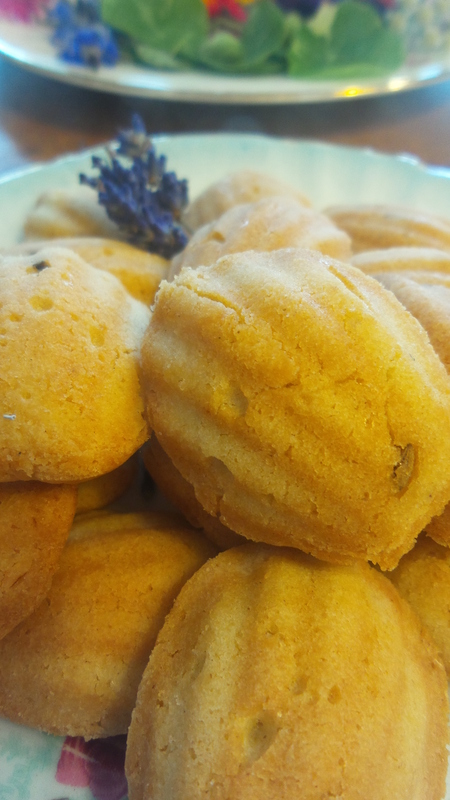 Trial and error over the years means, I think, I ‘ve found the right balance of lavender to flour – 1tspn to 8oz flour (in new money that’s 225g) so you don’t have to worry about the knicker drawer effect. Don’t be tempted to add more, it could mean the difference of something that is amazing or a sweet-smelling bin! 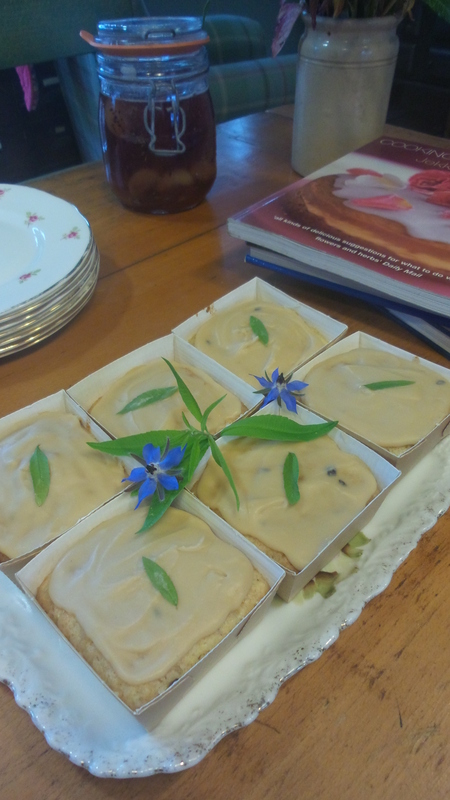 The curious nibbled on biscuits and cake, sniffed the sugar but the thing that surprised these visitors most was the leftover lemon verbena syrup I used to pour over the cake. Everyone of them stepped back and said, “WOW! Is it sold in the café?” Even if I do say so myself, it’s a stunning syrup, with so many uses. Easy to make, as you will see in the recipe, it has a wonderful fresh zingy, citrus tang that you don’t get from lemon alone. Don’t worry if you don’t have lemon verbena, just make a simple lemon syrup. 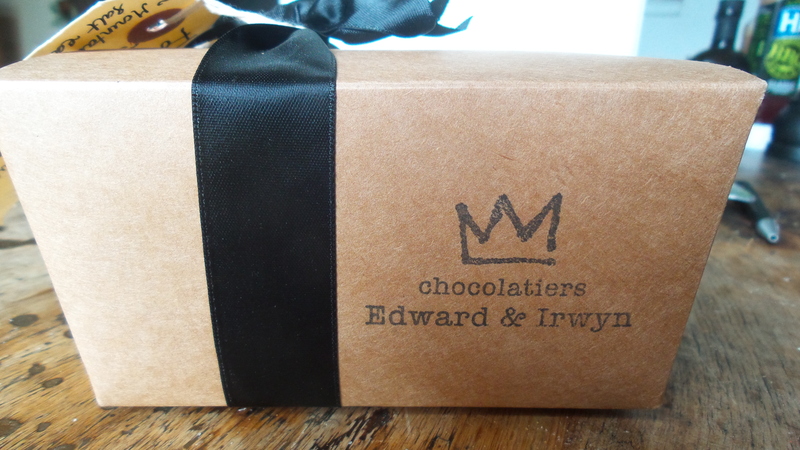 While I was pottering around the schoolroom, Edinburgh Bakers, Wendy Patterson (Inside Out Chef) nipped in for a wee blether and the lovely girls behind Edward and Irwyn Chocolates (my favourite chocolatiers) were in to pick up some ingredients from Hamish and deliver a box of their gorgeous chocolate to me! Thank you so much, it was such a treat! Don’t be afraid to step of the path and try something different or unusual, you will be very surprised at the results! Line a loaf or square tin with greaseproof paper. Sift the flour, bicarbonate of soda and cream of tartar and salt into a mixing bowl. Rub in the butter until it looks like breadcrumbs, add sugar and lavender and stir. Beat the yoghurt and eggs together then pour into the dry mix and give a good stir until thoroughly blended. Pour into the lined tin and bake in a pre-heated oven (180oC/Fan160oC/Gas4) for about 45 minutes or until a skewer comes out clean. Pour boiling water over the dried verbena leaves and leave for about five minutes. Put the sugar and lemon juice into a pan and heat over a gentle heat. Strain the verbena water and pour into the pan. Bring to the boil for several minutes, remove from heat and add the fresh leaves. While the cake is still hot and in the tin, stab with a skewer covering the cake with holes. Spoon the hot syrup over the cake. Once cold, you can make a water icing to drizzle over the top. Decorate with sprigs of lavender. Gradually add the eggs and lavender to the creamed butter. Sift in the flour and bring the dough together. Either divide the mix into 4 or leave as is and roll into log shapes on cling film. Wrap tightly and chill for at least 12 hours. Cut out rounds of dough into thing slices and place on a greased baking sheet (or lined with greaseproof paper). Bake in a pre-heated oven (190oC/Fan170oC/Gas5) for about 8 – 10 minutes. Remove from baking sheet while still warm with a spatula and cool on a cooling rack. The unbaked dough will keep in the fridge for about 2 weeks. Remove the flowers from the stems and mix with the caster sugar. Pour into a large jar and leave for at least two weeks. 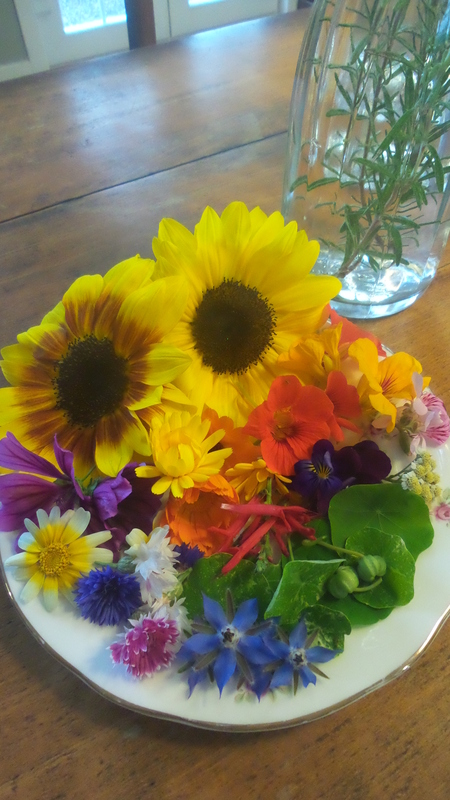 You can either leave the flowers in when cooking or you can sieve them before use. Next Next post: The All But Muffin – All But the Kitchen Sink!